With the recent explosion in popularity of the power miter saw, the hand miter box has become almost a forgotten tool. 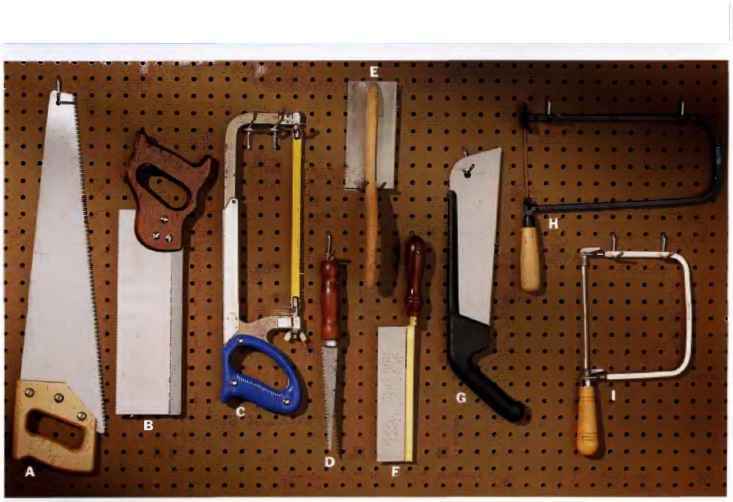 But for making a few quick miter cuts, you may want to revisit this handy and age-old device. A simple, inexpensive miter box with precut slots for 46° and 90° can be stored in a tool box or under your workbench, then clamped in place in no time at all. And with the precut slots, no setup time is required. Tb use the hand miter box, hold your work-piece firmly in place, or clamp it in place, and pull the backsaw in firm, short strokes. 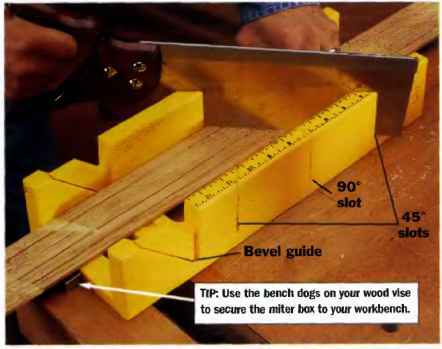 Tip; use the bench dogs on your wood vise to secure the miter box to your workbench. This easy-to-build cutting guide will ensure straight, v accurate cuts with a handsaw. Simply join two pieces of scrap plywood at a right angle, making sure the heads of the fasteners are recessed. 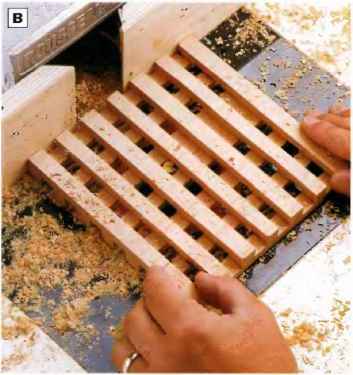 Add a piece of scrap wood at the front of the jig to make a lip for holding the jig - tightiy against your workplace.